Is your confidence having a crisis? Does your body feel like giving up? Are you struggling to balance your life? Do you want to find your sparkle again? Do you want to feel fabulous after forty? Do you want to think clearly? Do you want to find your Mojo? If you are 40, 50, 60, 70 years old or more, then come along to our event where expert speakers will help you to get your Mojo back, providing words of wisdom on stress, coaching, nutrition, fitness, colour and style. £15 if booked before 31st October. £20 booking from 1st November. Bookings close on Friday 10th November. 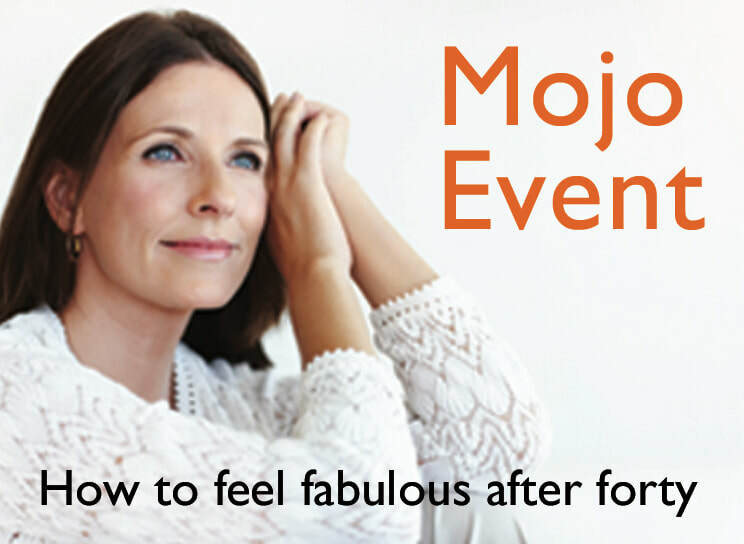 Our Mojo event will be a non-pressured, informative and relaxed afternoon. The presentation programme will be an interactive one, where you can freely ask questions and during the break talk to other participants. 2.10 - Introduction by Lee Pegrum, Event Organiser and Sandee Brown Host of The Old Barn. 3.15 - Break for refreshments, mix and mingle. If you would like to stay on to chat or for a tour of The Barn the presenters and Sandee can happily help you. You will come away from the Mojo event feeling inspired, with tips on how to look after your physical and mental health. Read about our presenters below and feel free to contact them for further information. Our presenters work locally in Oxted and the surrounding areas in Surrey and Kent. They have been carefully selected for their expertise and ability to help mature women. Lee's inspiration for the Mojo Event came from realising that there were very few events designed to focus on help for ladies over 40 years old. Lee will share her experiences and introduce the presenters. She also organises events for Oxted Networking and Oxted Netwalking, who meet every month to build business relationships and share knowledge. Sandee is an Interior Design and the decoration of The Old Barn reflects her excellent taste bringing out the character of the building. Sandee will tell us about the history of the building and why the Mojo event is important to her. Learn how to make up to enhance rather than change you. How to look natural in make up. Does your make up age you? Do you want a refresh? Top tips on how eyebrows can take years off your look, how to apply eyeliner to defy gravity, where does blusher really go? And how to look fresh all day without constantly refreshing your face. How to apply a full face in minutes. Make up to try and see how it works for you. I can offer a full personalised make over consultation for free to attendees, booked at a later date. Trained make up consultant Fiona Blackmore will present these and more with humour and live demonstrations. My Arbonne products are lovely botanically based, vegan certified, gluten free, no nasty chemicals and parabens. As we get older it can be harder to stay fit and toned. The body changes and sadly the middle aged spread is not a myth. We don't all enjoy running, high impact classes or we find it embarrassing going to the gym. 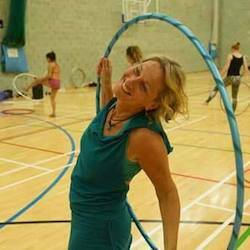 Learning how hula hooping is a fun, low impact and truly effective way to tone and strengthen your core as well as improving posture and balance. ​The most important thing is it makes you happy! 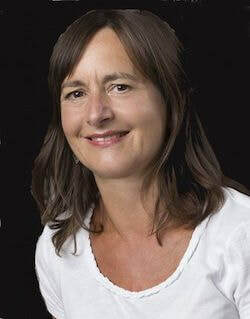 I am Debbie Cooper, I am a mindfulness practitioner. I have been practising Yoga as a method of relaxation and well-being for over 30 years and more recently I have embraced Mindfulness. I draw on my experiences from a variety of workplaces both as an employee and as a company director, and from my parental experiences of bringing up three lovely children. 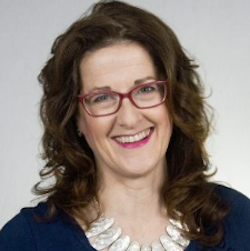 I blend my experiences together to deliver a balanced and practical Mindfulness sessions to help people address the challenges in their lives, these challenges may have not been acknowledged before. Sometimes the sessions are an awakening to the realisation that people can change their circumstances and how they interact with others, usually in a kinder and more considerate way. Read more about our successful first Mojo event here.